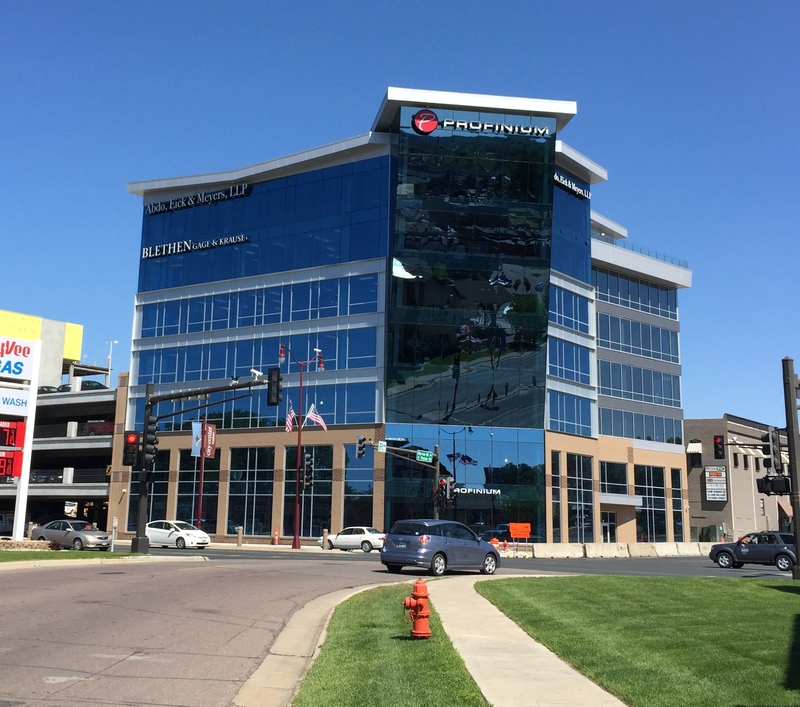 Profinium Place Mankato, MN- Met-Con Companies recently completed construction of Profinium Place for Mankato’s Tailwind Group. 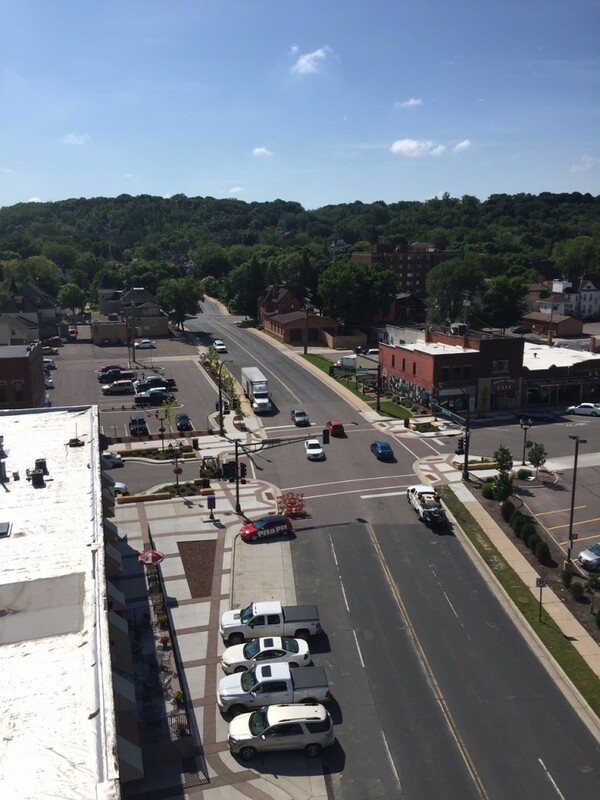 The seven story, 75,000 square foot building in downtown Mankato is part of the Block 518 redevelopment of downtown, bringing luxurious office space. Met-Con is currently constructing the next phase of the block 518 project, the Ridley Tower which is 50,000 square foot office building that neighbors Profinium Place. Profinium Place is the new home of Met-Con Companies located in Suite 200 on the second floor. Come check us out. View from 7th floor looking down onto Warren Street. 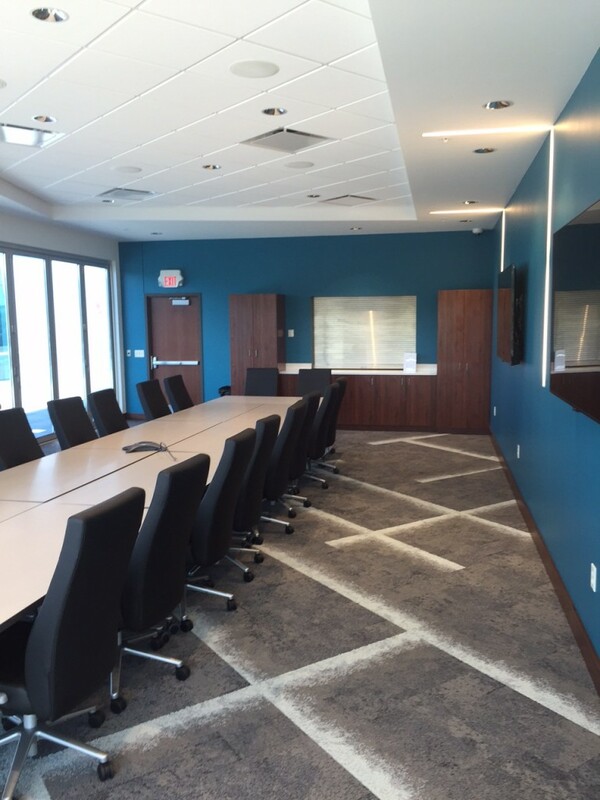 Profinium Place shared conference room on the 7th floor.